The boot camp will equip students with basic elements of fiscal literacy, life, entrepreneurship and leadership skills for their development as workers and citizens. 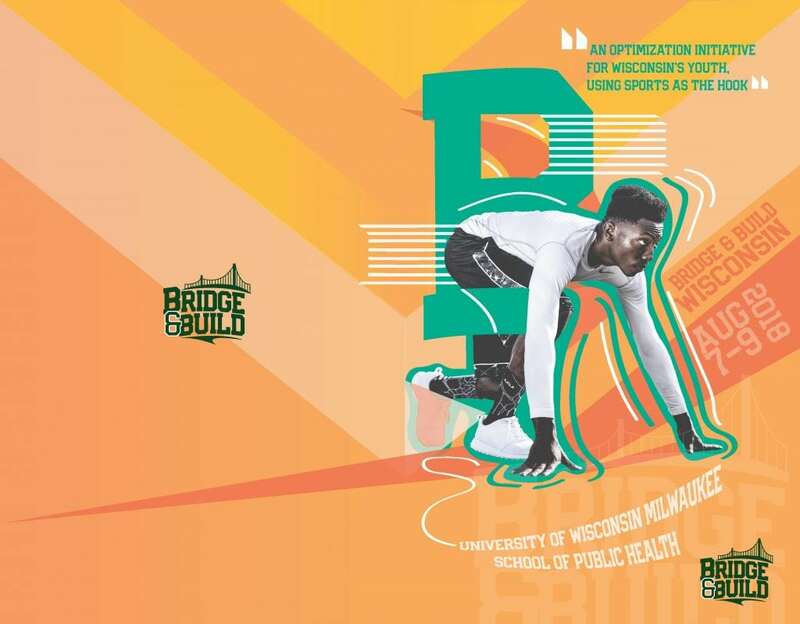 Sponsoring entities were the public schools in Beloit and Neenah, Mentoring Positives in Madison and Neighborhood House of Milwaukee. Each of the students who attended the Bridge and Build proof of concept earned a certificate for their participation. They attended three days of classes and exercises. Many participated in the pitch competition of ideas or products. 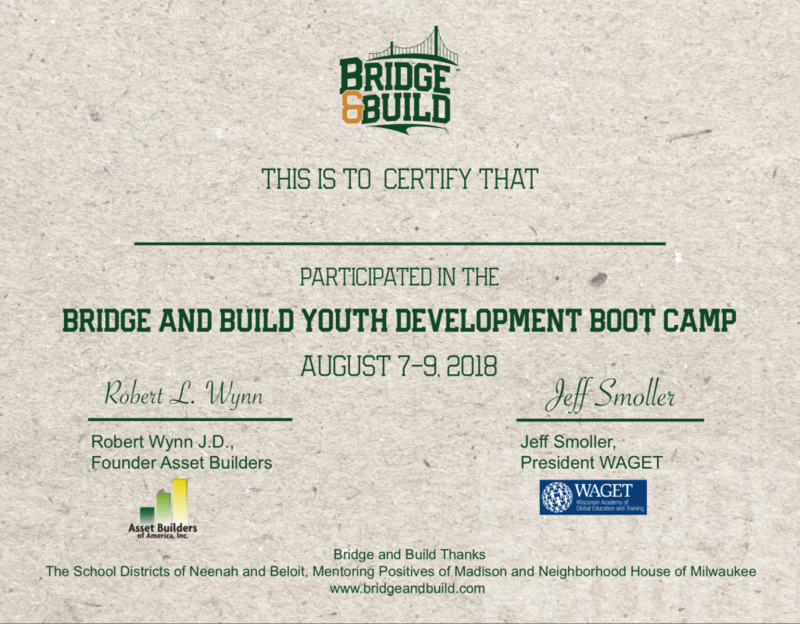 Each of the four entities that sponsored the students had their logos on the certificates which were signed by Bob Wynn, president of Asset Builders of America and Jeff Smoller, president of the Wisconsin Academy of Global Education and Training. The certificates were awarded at Concordia University – Wisconsin after completion of all of the classes. Students were then recognized at pre-game ceremonies at Kapco Field, home of the Lakeshore Chinooks. Good to get kids of color from four cities together. The content was good — just too much of it.